Do you need a heating repairman in Smoke Rise? R Fulton Improvements has been in business for more than 20 years. We have the expertise to handle any type of heating system repair. Call (678) 251-9181 to place your service call. We also offer 24/7 emergency service for clients throughout DeKalb County, Georgia. 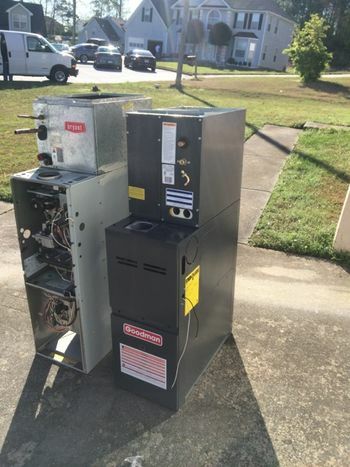 We've been in the HVAC business for more than 20 years, repairing heating systems in Smoke Rise, GA. Smoke Rise hot water repairs. All Smoke Rise hot water repair servicemen have state-of-the-art testing tools to help identify the source of the problem. From valve repair to plumbing leaks, we'll get your hot water running again. Call (678) 251-9181 for a free Smoke Rise hot water repair estimate or Smoke Rise hot water emergency repair.